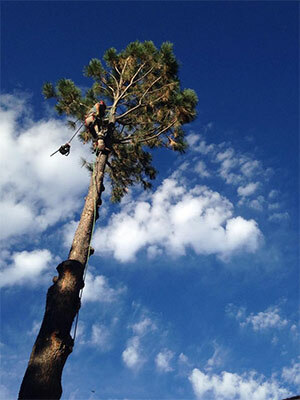 Donovan Arborists is locally owned and operated here in Denver, Colorado. Offering residential & commercial tree removal and care. We are dedicated to protecting your growing investments in an environmentally responsible manner. We are passionate in our work and believe trees are a major reason Denver is such a great place to live and work. Paul Donovan is an International Society of Arboriculture (ISA) Certified Arborist with 21 years of experience in the Front Range. He is formally trained in all aspects of tree care including tree pruning, tree and stump removal, insect and disease control, cabling and bracing, tree planting and transplanting and fertilization. We also offer consulting services in Tree Hazard Evaluations, Tree Appraisals and Defensible Spacing for mountain properties. Donovan Arborists is committed to being a steward of the environment. While we do use traditional pesticides, our main focus is in cultural practices to reduce their use. We practice a more holistic approach by looking at the tree, its surroundings, soil, water, climate and light exposure. We service Denver, Littleton, Englewood, Highlands Ranch, Centennial, Greenwood Village, Cherry Hills, Lone Tree, Lakewood, Wheat Ridge, Edgewater, Westminster, Arvada, Aurora and more. See our complete list of service locations for more information.